If your citation has been filed with the court, you may pay your fine online. Please note: There are no additional convenience fees. To access the online credit card payment system, please click here. You may mail your fine payment to the Milwaukee Municipal Court, 951 North James Lovell Street, Milwaukee, WI 53233. If you pay by mail, do not mail cash. 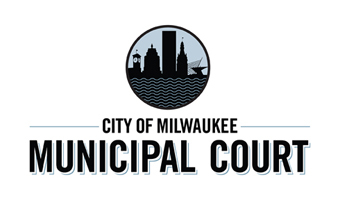 Make checks and money orders payable to the Milwaukee Municipal Court. You may pay by credit card by calling (414) 286-2878 (between 8:00 am - 4:30 pm, Monday through Friday) *or* by using the Credit Card Payment form, which can then be printed, filled out and mailed, faxed or telephoned to the court using the instruction sheet which accompanies the form. If you wish to pay in person at the Municipal Court, please go to the Cashier Window. The hours are: Monday - Friday 8:00 a.m. to 4:30 p.m. You may pay by cash, check, money order or VISA or MasterCard. Prior to the court date shown on your citation, you may pay using a Violation Bureau locked dropbox at any of the 7 district stations of the Milwaukee Police Department. Prior to the court date shown on the citation, you may also pay at one of the following Violation Bureau Payment Centers: the North Payment Center located at 6223 North Teutonia Avenue; and the South Payment Center located at 2980 South Chase Avenue. Both North and South payment centers are open Monday through Friday from 9:00 a.m. to 6:00 p.m., and on Saturdays from 8:00 a.m. until 12:00 noon. If you want to request more time to pay, come to the court's Reception window to make your request. You must do this before the due date. The Receptionist may be able to grant the extension. But, depending on your case, you may be sent to the courtroom to see the judge. Please understand that these requests are not automatically granted. If your fine is not overdue, you can request to be placed on the installment plan at the court Reception window. Your outstanding judgments will be consolidated and you will receive a packet with information relating to your monthly installment payments. You must have an income to be on the plan. If you are on an installment plan, you do not have to return to court to request an extension as long as you pay on time. If your case has been assigned to a collection agency, you may clear your credit record by paying your fine in full either at the court or at the collection agency. You will get credit for partial payments. However, the alternative sentence such as a driver's license suspension, or time in jail will remain in effect until your fine is paid in full. Please note: If you have not paid your fine and the judge has ordered the suspension of your driver's license, you will have to do several things. You must pay the fine in full, and then apply for reinstatement of your driving privileges at the local office of the Motor Vehicle Division of the state Department of Transportation. Be prepared to pay the reinstatement fee of $60 to the Motor Vehicle Division.